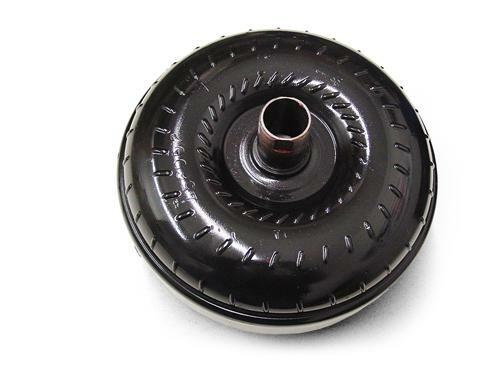 Drastically improve the acceleration in your 1983-93 Mustang with this 3,200 RPM stall torque converter! Performance Automatic has recognized the importance of building a full race, 10 inch converter that is affordable to all. Our 10 inch Pro Launch is designed to be used in conjunction with high compression, nitrous oxide, bigger duration cams, and stout gear ratios or supercharged and turbo applications. Stall speeds of 1000 to 2000 rpm over stock converters can be expected. Additional cooling is a must. These converters are just the ticket for street applications provided with proper cooling and gear ratios. Just bolt in and hang on!